Ecuador is one of the most rewarding destinations in South America. It is a country with an immense cultural wealth. Your territory conjugates four natural regions: the Sierra or Andes, Coast or littoral, Orient or Amazon and Insular Region known as the Galapagos Islands, which offer a wealth of soil, Climatete, mountains, moorland, beaches, islands and forests, which the turn are home to thousands of species of flora and fauna. Ecuador is not only rich in nature is also rich in its people, since their territory has 13 nationalities and 16 indigenous peoples' customs, traditions, languages and multiple. The peoples of the Amazon Quichua, Huaorani, Achuar, Shuar, Cofan, Siona-Sequoia, Shiwiar and Zaparo. In the Andes are the Quichua de la Sierra with colorful people as the Saraguros Canaris and Otavalo. The coast is home to change Awa, Chachi, Cayapas Tsáchilas and Huacavilcas. And in the cities live mainly mestizos, whites and Afro-Ecuadorians. The Sierra region, also called Andean region, is rich in cultural diversity, impressive mountains, volcanoes and mountains that provide a variety of landscapes, modern cities where artistic and cultural trends emerging and historically significant cities that have kept their treasures intact architectural and today are visited and admired by tourists and foreigners, who are the best souvenirs of your visit. The provinces that are in this region are: Azuay, Bolivar, Canar, Carchi, Cotopaxi, Chimborazo, Imbabura, Loja, Pichincha and Tungurahua. Below will find a striped the cities we find in this region. Sto Domingo de los TsáchilasIs a beautiful city surrounded by breathtaking scenery of rainforest, rivers, waterfalls and wildlife. The coast region or littoral has the tallest mangroves in the world, beautiful cities, a warm people and beaches for all tastes, from the most crowded where you find people from all nationalities and where you can make sports such as surfing because of its excellent waves, even the hidden and protected, where you can marvel at its extraordinary beauty and enjoy a moment of healthy recreation and relaxation with family and friends. EsmeraldasIt is a major river port, bright and welcoming, has a tropical charm, its population is mostly black. MontañitaIt is the place to visit for young people, who come attracted by their international surfing championships. MantaIt is one of the main seaports and fishing of the Ecuadoran coast and an important resource for its tourism. Bahia de CaraquezIt constitutes a true attraction for the lovers of the nature for your exceptional ecotourism. PortoviejoIt has many attractions: beaches, monuments, that attract local and foreign tourists. MachalaIt is known as the "Banana Capital of the World" for its large trade based on the cultivation of bananas. 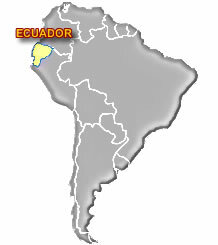 BabahoyoIt is one of the major cities of country, so it is considered the capital of Ecuador River. QuevedoQuevedo is a city of Ecuador, north of the province of Los Rios. It is a developing city set in a fertile land. General Villamil, PlayasIt is one of the most important tourist centers of the coast, is very popular for its warm waters. ZarumaIt is one of the oldest cities in Ecuador, and is the largest producer of coffee. The Amazon region offers an incredible spectacle when it comes down from the Andes and opens a huge green carpet of lush vegetation, typical of tropical rainforests, which extends infinitely in the eyes. In the thick vegetation of a real natural laboratory where you can find the most varied kinds of medicinal plants and exotic animals that live among labyrinths of dense forests, with giant trees, which can reach tens of meters. Within ethnic groups that inhabit the forest maintain their own customs and languages and live outside the rest of the population, (Quichua, Shuar, Siona-Sequoia and Huaorani). The provinces of the region are: Sucumbíos, Napo, Pastaza, Orellana, Morona Santiago and Zamora Chinchipe. TenaIt is considered the capital of the kayaking of the Ecuador, ideal place for the descent of the whitewater. PuyoIt is a city with many natural attractions, that have become a thriving and progressive city. Nueva Loja It known as Lago Agrio, from here we will also have access to know the secrets of the jungle. ZamoraFue nombrada como la "Tierra de aves y cascadas", rodeada de un bello entorno natural. Francisco de OrellanaAlso known as Coca is the capital of Orellana province, located northeast of Ecuador. The Galapagos Islands Region, is one of the Global Biodiversity Sanctuaries, which is why UNESCO in 1979, declared Natural Patrimony of Humanity and in 2001 extended the declaration for the marine reserve in 1985, was named as a Biosphere Reserve. Galapagos is the perfect place to understand the evolutionary changes that have ushered in a new perspective on life on the planet. Most of the flora and fauna in the islands are endemic, which makes it a paradise condiserada we can still enjoy our planet. The insular region is nearly a thousand miles west of mainland Ecuador and is comprised of 13 large islands, 17 small and 47 islets. The Galapagos Islands located 950 miles from Ecuador in the Pacific Ocean, is one of the major tourist attractions and the country's scientific. The archipelago has four inhabited islands, where you can find a wide choice of hotels of all categories. It also has an extensive agricultural production, fisheries and livestock. Santa Cruz IslandLocated in the middle of the Archipelago, is headquarters of the Charles Darwin Research Station. San Cristobal IslandIt is characterized by the contrast between the beaches of white sand and black lava rocks. Isabela IslandIt is the largest island of the archipelago. Here you can enjoy on e wonderful flora and fauna. Floreana IslandIt is more known for its colorful history of buccaneers, whalers and settlers. The Galapagos Islands are a World Heritage Site since 1978, recognized worldwide for its endemic species, by studies of Darwin, his theory of evolution. They have a mild climate, tropical, with temperatures ranging from 23 to 34 degrees year round. Galapagos is one of the most complex ocean systems and unique. Española IslandIt is the more visited for the ornithologists since in it can find a great variety of specieses. Santiago IslandIt has the most spectacular natural environments, here is a salt mine in ruins and unique species of fauna. Fernandina IslandIt is one of the most exotic Islands, you can marvel at the incredible volcanic landscapes. Baltra IslandSite of entry for most visitors to Galapagos, here is the airport from where they will be brought to port. Seymour Norte IslandThe ideal place for hiking, swimming, enjoy snorkeling and diving. You will see the endemic Palo Santo trees. Genovesa IslandKnown as the Bird Island, is home to masked boobies and red-footed, bird lovers will enjoy a lot there. Bartolome Island It is an island of volcanic origin and has the most spectacular landscapes of the Archipelago. Pinta IslandIt is the original home of Lonesome George, perhaps the most famous of turtles in the Galapagos Islands. Rabida IslandIt is considered the geographic center of the Galapagos Islands, is famous for its classic red soil. Marchena IslandThe perfect place for those professional scuba divers as it is very rich in ichthyology. Darwin IslandOne of the smaller islands of the Archipelago, allows professional diving , has excellent vertical walls. Wolf Island It is not accessible and do not allow the visit in the tourist field in its vicinity is used exclusively for diving. 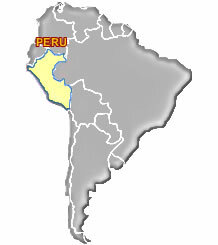 Peru is best known as the land of the Incas. It is one of the tourist attractions and major world cultural. With more than 2500 kilometers of coastline which receive the waters of the Pacific, in addition to the many valleys and snowy mountains and the rainforests of the Amazon added to the various alternatives offered to the tourist tourist. Peru has an endless number of natural and scenic beauty, cultural and historical. It has three major regions, a narrow coastal belt, the mountains of the Andes of greater width, and the Amazon rainforest. In these three different regions are different exotic plants and animals. Peru is characterized by having one of the most diverse ecological systems. LimaIt is Peru's capital and home to one of the most grand and monumental historic centers in Latin America. Cusco It is considered the main tourist center of Peru, because of its great monuments. PunoIt is the folklore capital of Peru for its beautiful dances. It is considered the country's lake port and cultural. Are you a tour operator and would like to promote and sell their packages and tours, please send all their data and photos to central@ecostravel.com.